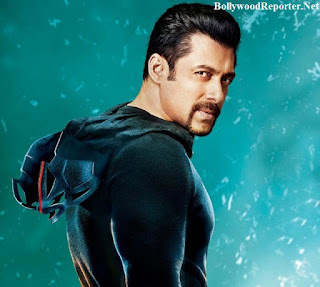 'Kick' was the most successful film of year 2014 after Aamir's PK it also smashed Box Office record. The film was produced by Sajid Nadiadwala and now it is going to be followed by a sequel and Salman Khan confirmed that he is writing the story for the film. And as per reports Salman will play double role in the film. Last time Salman had played the double role in the film 'Judwaa' and in Kick he played the role of Devi Prasad and Devil but it wasn't just a proper double role. When asked Salman about the film and his role he told, "Work on the film’s script is on. I had only given him (Sajid Nadiadwala) the concept and now he is working on the story. The movie will have a double role. Bahut zabardast idea hai. When he is done with the script and the screenplay we will take it on the floors"
So, this time it will be Two Much Fun. Salman Khan's latest movie Bajrangi Bhaijaan is already smashing all the records. He will now be seen playing a double role in Prem Ratan Dhan Payo. So, in Kick 2 as well, the actor will be seen essaying dual characters.